Our R&D has developed scalable methods to transfer 2D CVD grown sheets back to back to create 2D vertical heterojunctions. Even though 2D semiconductors R&D team uses chemical free transfer process, it is anticipated to observe transfer (strain, substrate, and defect) related changes in the physical properties of 2D layers. Because of the custom nature of the production process, all transferred CVD sales are final and non-refundable. This product gives an idea about our capabilities on variety of substrates and heterojunction arrangements. The pricing largely dependents on the substrate types, CVD monolayers, and other technical challenges specific to your applications and sample specifications.Our R&D works hard and is dedicated to creating your designer CVD products at affordable rates. Q1: Can you make any vertical heterojunctions? A: We can place any CVD materials offered by our company onto each other to create bilayers as well as trilayers. Q2: Can you make Moire pattern samples? A: This is in principle possible, but small angle stacking is typically very hard and time consuming. For this reason, we recommend to transfer triangle CVD monolayers onto another CVD triangle samples. Since each material contains triangles oriented at different directions, your sample will contain many vertical heterojunctions with different angle arrangements. Q3: Can you transfer monolayers onto TEM grids? A: Yes, we can transfer any CVD product onto any TEM grids. Our company requires you to select your own TEM grids, inform us the model, and send (extra) TEM grids so that we can do tests to deliver you good quality samples. Q4: Can you guarantee that CVD monolayers will be same quality after the transfer? Q5: What kind of substrates can you transfer onto? A: You would be surprised to know but we have transferred CVD monolayers more than 100 different substrates to date. 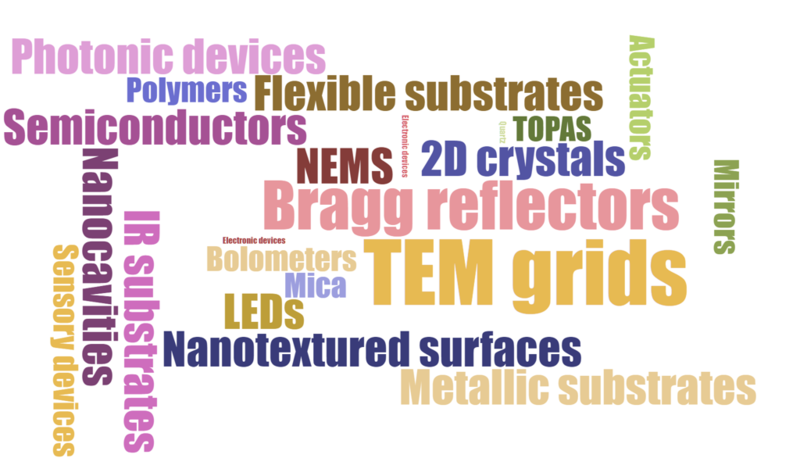 Examples include, Bragg reflectors, plasmonic structures, SiO2/Si, sapphire, quartz, mica, PET, polymer, other 2D materials, glass, TEM grids, metals, and even on a diamond! Q6: What is the typical processing times? A: This will depend on your project, chemistry required, and your sets of requirements towards sample production. It is typically around 1-3 weeks.